These breaks do not include entry into the main Gulliver’s theme parks or any additional Gulliver’s attraction which must be purchased separately and will be subject to separate terms and conditions. These breaks will include entry into either, the main Gulliver’s theme parks, or any additional Gulliver’s attraction or a combination of these attractions. Your confirmation will specify which Gulliver’s attractions may be accessed within the purchase price of your Stay and Play break. Please note that the availability of the main Gulliver’s theme parks, any additional Gulliver’s attraction and specific rides, restaurants, attractions and facilities within each Gulliver’s attraction, differs throughout the year. It is your responsibility to check the website www.gulliversfun.co.uk before booking to ascertain what will be open and available to you during your break. Other than in accordance with clause 5.4 below, Gulliver’s will not be responsible for rides and attractions being closed during your break where this is a planned closure and was published on our website at the time of your booking. No refund or compensation will be given in these circumstances as the price of the break already reflects what rides, restaurants, attractions and facilities are due to be available. You can book through the website www.gulliversfun.co.uk or by telephoning 01925 444 888 (telephone booking fee applies). Please note that you must be over 18 to make a booking. Full payment is required at the time of making your reservation. Payment may be made online or by telephone. We accept payment by credit/charge or debit card only. Credit/charge and debit cards will normally be authorised and charged to your account within one working day. We accept MasterCard or Visa. Our current charge for card transactions is 0% however this is subject to change. The price for your break and any additional charges, along with details of payments made and due will be confirmed to you by email within 24 hours of your booking. Please make sure your email address is correct at the time of booking. Please check the details on your confirmation carefully. If any of the details are inaccurate or no longer apply, please inform our reservations team immediately. Failure to meet the payment schedule detailed in your confirmation will result in the cancellation of your reservation, and the forfeiture of your deposit. Please note that no payment reminders are sent. When we receive the required payment and you have received a confirmation, a contract is formed. Your receipt of a confirmation will be deemed to have taken place 24 hours after booking if sent electronically and within 10 days if sent by post. If you have not received your confirmation within these timescales please contact us immediately. Please be aware that if a technical error causes the price quoted and paid to be substantially incorrect, we reserve the right to refund the payment and cancel the reservation. Your principal contract is with Weavers Close Limited. The contract is made up of the confirmation and these terms (which we sent to you following your telephone reservation or which you accepted online at the time of booking). In respect of all Stay and Play bookings, additional terms and conditions relevant to the main Gulliver’s theme parks, and additional Gulliver’s attractions (all available on the website www.gulliversfun.co.uk ) will also form part of the contract. Our contract with you binds you (the person named on the confirmation), and all members of your party, including children. All members of your party must accept this contract, which remains in effect until the last of your party has left Gulliver’s. Gulliver’s prices are subject to change. The most up-to-date prices are on our website and will be quoted when you make a reservation. The quoted price will be inclusive of VAT (at the current rate) and service charges. The agreed price for your break will be on the confirmation. Any other amenities or services described as included in the price of your break in the information provided to you. For stay and Play breaks only, entry to the main Gulliver’s theme parks and/or any other Gulliver’s attraction (as specified in your booking confirmation). Use of facilities and activities not included within your break, for example the main Gulliver’s theme parks, or any additional Gulliver’s attraction entry. Separate charges, agreements and booking arrangements apply for these and other items. Once you have booked and paid for your holiday in full, we guarantee that your holiday price will not change. We welcome guests with a disability, restricted mobility, particular care or medical requirements. However, we need to know of any special needs at time of booking so we can ensure that our services are as accessible as reasonably possible. Please call our reservations team on 01925 444 888 so that we can discuss your requirements along with availability, suitability and any reasonable adjustments we are able to make. If you will need to dispose of clinical waste during your stay, please inform the reservations team when booking. If a booking is for a large group necessitating four or more accommodation units and/or is to include members from an organisation, or those benefiting from activities organised by third parties, we will require certain information - including the name of the organisation - before the booking can be confirmed. You will also be required to provide any other information we may reasonably request. In every accommodation unit, there must be enough capable and responsible adults over 18 years old to oversee the rest of the party. One such adult has to take responsibility for the whole party and has to be present throughout the stay. The name and contact details of this person must be confirmed on arrival at Gulliver’s. We have the right to obtain, at any time, the name, age, address and gender of each member of your party before confirming your booking. Unless we agree otherwise, you (the booker) must be a member of your party. Entry to Gulliver’s may be delayed or refused if you fail to provide us with full details of all party members before arrival. Should you wish to use a Gulliver’s break in some form of promotional capacity, you must contact the Gulliver’s marketing department before making any booking. They will specify the special requirements that apply, and by booking you will be deemed to have accepted them. If our requirements are not met and maintained, we have the right to cancel the booking at any time. Should you wish to make a change to your booking once it is confirmed, we will endeavour to meet your request. Changes are possible 12 weeks or more before your holiday start date. A charge of £35 will be payable for each alteration. Each alteration is subject to availability. Please note that you will also incur additional charges if the cost of your holiday rises. No refund will be given should the new dates be less than your original dates. You may cancel your break at any time. However, an administration fee of £35 will apply. In addition to the administration fee, a cancellation fee will be charged. You can only cancel your break with us by telephoning our cancellations desk on 01925 444 888 and you must obtain written confirmation of your cancellation via email or post as proof of the same. Once cancelled the booking cannot be reinstated. We reserve the right to cancel your booking at any time should it become impossible for us to provide the break you have booked or if we have any reason to believe that you or any member of your party are or appear to be of a disruptive influence on the other guests or if a technical error has occurred in processing your booking. Gulliver’s in its absolute discretion reserves the right to close the whole or any part of the Accommodation and/or any facilities within the Accommodation and/or any Attraction at any time or to restrict the number of persons staying at the Accommodation. The reason for any closure or restriction provided by this condition may include technical or operational reasons, capacity, special events or to ensure the safety and security of guests or if we reasonably consider the circumstances so require. If the whole or any part of the Accommodation is closed for any of the reasons set out above, we shall use reasonable endeavors to notify you as soon as is reasonably practicable of such closure. We reserve the right to offer a substitute booking on an alternative date in substitution for any other form of redress. We reserve the right to amend a booking reservation but not to a lesser value or quality. You will be notified in writing as soon as reasonably practicable of any such amendment. Where we cancel your holiday before you arrive we will refund any payment made to us but we will not pay any additional compensation. After your arrival, we have the right to cancel your booking, or to instruct you or your party to leave Gulliver’s immediately, without compensation or refund, should you or any of our party breach the terms of this contract. Change your holiday start date. Cancel your break with a full refund (without cancellation charge). In these circumstances however we will not be liable for any further compensation. Where refunded, payments made by credit/charge or debit card will be refunded to the same card, less any non-refundable payment. Your accommodation will be available from the check in time specified in your booking confirmation on your holiday start date. You will be issued with an information pack upon arrival and will be required to comply with any instructions contained therein. To help ensure your party and all our other guests get the most from their stay at Gulliver’s you are required to comply with all guidance supplied to you by our staff or within our information packs. Gulliver’s insists upon reasonable standards of behaviour from all our guests. Excessively noisy or disruptive behaviour, or behaviour which has a negative effect on the amenity of other guests, is unacceptable. We will not tolerate offensive or illegal behaviour, or aggression towards Gulliver’s staff or guests. In such circumstances, we may involve the police, and/or require you and/or any member of your party to leave the site immediately. No refunds or compensation will be given in these circumstances and we reserve the right to refuse any future bookings from you or any member of your party. Breakages within and damages to your accommodation require immediate payment which will be charged to the card that payment was made with in accordance with clause 16 below. There must be at least one capable and responsible adult over the age of 18 in every accommodation unit, who is responsible for the supervision of all members or your party under the age of 18. Children remain the responsibility of their parents or guardians at all times. It is important that parents always know where their children are and supervise them at all times. Your personal belongings remain your responsibility at all times. Please lock your vehicle securely and remove all valuable items from view. Please ensure your accommodation is locked and secure when you leave it. If we find any lost property, we will make every reasonable effort to locate the owner and return it. If we are unable to locate the owner and if the item is not reclaimed within 3 months of the guest’s departure it will be disposed of. Please note that it is your responsibility to pay for postage for any items that you wish to have returned. You must leave your accommodation in a clean and tidy condition. We reserve the right to charge you for any extra cleaning, missing items or damage. We reserve the right to enter your accommodation at any time for any reasonable purpose. You must not exceed the maximum number of guests in each accommodation unit (as stated on our website). If you do, we may move those additional persons to another available accommodation and charge them or you full price. Alternatively we may require them (and you) to leave the site. No refund or compensation will be payable in these circumstances. Please dispose of your litter in the appropriate receptacles provided and do not leave bins outside accommodations. You may find that some facilities and/or accommodation units are closed for maintenance, replacement or improvement. Maintenance or housekeeping work may also be undertaken in and around your accommodation during your stay, but we will endeavour to keep any disturbance to a minimum. Guest vehicles may be parked in the designated accommodation car park from check in time until check out time. Please drive carefully when driving on our sites. Give way to pedestrians, buggies and cyclists at all times. Keep to the left and within the specified speed limit. In the interests of safety, all vehicles that are not parked in specified parking areas may be towed away and a charge levied to you for doing so. We do not accept any liability for damage caused under these circumstances unless it is demonstrably due to our negligence. Whilst Gulliver’s do permit the use of bicycles within our Milton Keynes Resort, it is your responsibility to ensure that any bicycle brought onto site by you or any member of your party is suitable for use by its particular user and is properly secured (at your own risk) when not in use. Gulliver’s will not accept any responsibility for accident/injury to those using bicycles on site unless such accident/injury is directly caused by Gulliver’s negligence. Gulliver’s do not accept any liability for stolen or damaged bicycles unless demonstrably due to our negligence. All bicycle users are required to be competent cyclists and able to ride their bicycles on a public road (i.e. aware of the Highway Code rules for cyclists and cycle safety). Highway Code rules will apply to the private roads on site and bicycle users are required to observe these rules. You hereby fully indemnify Gulliver’s in respect of accident or injury caused to any staff member or guest as a result of your own (or that of any member of your party’s) act or omission whilst operating a bicycle on site. Gulliver’s will recover from you any amount paid to a third party in respect of such accident or injury in accordance with clause 16.1 below. You hereby hold harmless Gulliver’s in respect of any accident or injury caused to you or any member of your party by another guest operating a bicycle on site unless such accident or injury is demonstrably due to our negligence. Smoking is not permitted in any buildings or accommodation. It is permitted only in designated areas. Guests failing to comply will have their stay immediately terminated without refund, and will incur liability for deep cleaning charges plus charges for any subsequent loss of revenue. The outstanding balance may be charged to the debit/credit card that was used to pay for the break. Subject to clause 13.2 below pets are not permitted on site (except assistance dogs, which are permitted by prior arrangement only). Pets are not permitted in all accommodation units but subject to clauses 13.3 to 13.7 below, specific pet friendly accommodation units may be available within some resorts. A maximum of two dogs per pet friendly accommodation unit is permitted and other pets may be permitted by prior arrangement. If you bring your dog(s) on site you must ensure that: • As a minimum, each dog has a current annual vaccination for distemper, canine hepatitis, leptospirosis and parvo virus. • Dogs are kept on a lead at all times when outside your accommodation or kennels, and use the designated dog toilets. • Each dog is properly supervised at all times, is not dangerous and does not cause a nuisance or threat to anyone. • When our staff need to visit your accommodation (e.g. for housekeeping or maintenance) you must take your dog(s) out or keep them in a different room while these visits take place and comply with any specific instructions provided to you. No dog(s) must be left alone in the accommodation units. When you are not in your accommodation your dog(s) must either be with you or housed securely in the kennels provided outside the accommodation. You will be responsible for securing your dog(s) inside any kennels provided and must supply your own padlock for this purpose. Gulliver’s accepts no responsibility for the loss of or damage to your pet whilst on site. You will remain fully responsible for your pets at all times and indemnify Gulliver’s in respect of any loss or damage to third parties caused either directly or indirectly by your pets whilst on site. Certain pets and specific breeds of dog are not permitted in any accommodation units or on site and Gulliver’s reserves the right to refuse any animal which we, in our sole and reasonable discretion, consider dangerous. Please ensure that your particular pet(s) will be permitted in your selected pet friendly accommodation prior to booking as Gulliver’s will require the immediate removal of any unauthorised animal and may cancel your break(without refund or compensation) if you are found to be in breach of this clause 13. No shotgun, knife, firearm, air weapon, archery equipment, fireworks (including sparklers), illegal substances or similar item may be brought onto the Gulliver’s site under any circumstances. Photography for commercial purposes is not permitted in any part of the site. Filming and/or photography for promotional or training purposes may be in progress at Gulliver’s during your break. Should you not wish to appear in any such material please notify us on or before your arrival at Gulliver’s. By booking you agree that we have the right either during or after your stay to recover from you, whether via the credit/charge or debit card used to pay for the break or otherwise, the costs of: Any property or accommodation damage, and/or. Any items missing from the accommodation. Any compensation we may pay to others as a consequence of your breach of this agreement, and/or. Any other costs, fees or levies which we may incur, resulting from your action or inaction and from any breach of this agreement. In respect of charges for damage to or missing property, the charge will be the full replacement cost of the missing/damaged item, including any carriage charges. Your accommodation must be vacated by the check-out time specified in your booking confirmation on the day of your departure. You are required to return your key/key card by 10 am. Please ensure you hand these to Reception as you leave. Your vehicle must be removed from the designated accommodation car park by 11am. Should you wish to enjoy the main Gulliver’s theme parks, Blast Arena, Splash Zone, S-Fear or any additional Gulliver’s attraction on your day of departure, please use the attraction’s own parking facilities. We hold a valid notification under the Data Protection Act 1998. All the information we hold about you and members of your party may be stored in a computer and other filing systems. We will only use this information to provide our services to you, to conduct market research and to provide you with information about our products and services. If you do not wish to be contacted by us please inform us in writing. CCTV cameras operate at some locations in the interests of public safety. We may record or monitor calls for training, quality or clarification purposes. Should any part of our contract be deemed by law to be void, the remainder of this contract will, if capable, continue in full force and effect. Headings used in this contract are included for convenience only and shall not affect its interpretation or construction. Your booking with us will not constitute a “package” as defined in the Package Travel, Package Holidays and Package Tours Regulations 1992 which, therefore, will not apply to your holiday with us. Gulliver’s shall be liable to you for any loss, damage, injury or death (“loss”) caused by the negligent acts or omissions of Gulliver’s, its servants or agents. Other than the above, or as set out elsewhere in these terms, Gulliver’s shall have no liability to you for loss. In all cases, except personal injury or death, our liability to you for the total of all claims arising out of your break with us is limited to the cost of your booking. We will not be liable to you in respect of any matters which result from events beyond our control. Any assistance you require or concerns should be brought to our attention immediately via a member of staff or Guest Services. We are not responsible for any matter of which you were aware but failed to notify us during your break. 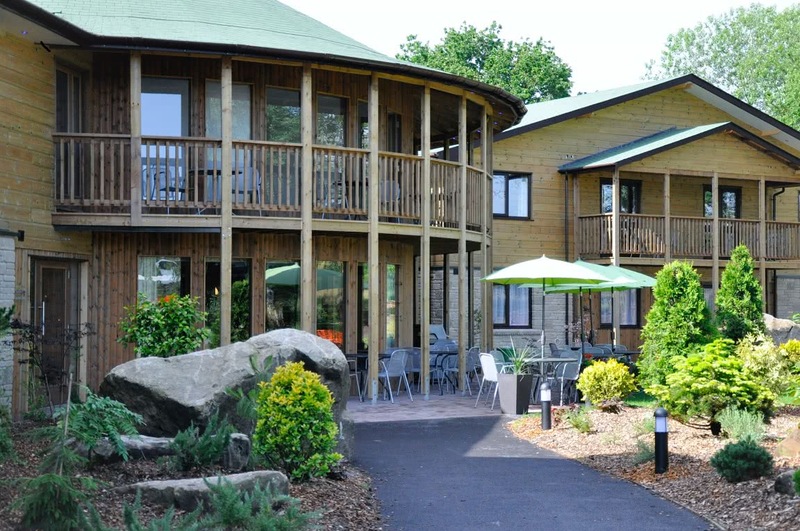 Any reported matter which has not been resolved during your break should be advised in writing to Guest Services at the relevant resort (postal addresses can be found on the website www.gulliversfun.co.uk or on your booking confirmation) within 28 days of the end of your break. In such cases, we will only correspond with the person named on the booking. Failure to follow this procedure may reduce or extinguish any rights you may have to make a claim against us. Gulliver’s shall not be liable under or be deemed to be in breach of this agreement for any delays or failures in performance of this agreement or provision of services, facilities or amenities which result from any event beyond the reasonable control of Gulliver’s including but not limited to fire, flood, drought, earthquake, windstorm or other natural disaster or loss of utilities (electricity and/or water) provided by third party utility companies (unless due to Gulliver’s failure to observe payment obligations). Gulliver’s accepts no responsibility for any loss and/or damage suffered by you as a result of any event beyond our reasonable control (including any distress, inconvenience, anxiety or loss of enjoyment arising from the evacuation of any accommodation or attraction). This does not affect your statutory rights. Where delays or failures in performance of this agreement or provision of services, facilities or amenities have occurred as a result of an event beyond the reasonable control of Gulliver’s, the Company may, in its absolute discretion, offer a substitute break or tickets for admission to an attraction (as deemed appropriate by Gulliver’s) on an alternative date in substitution for any other form of redress.